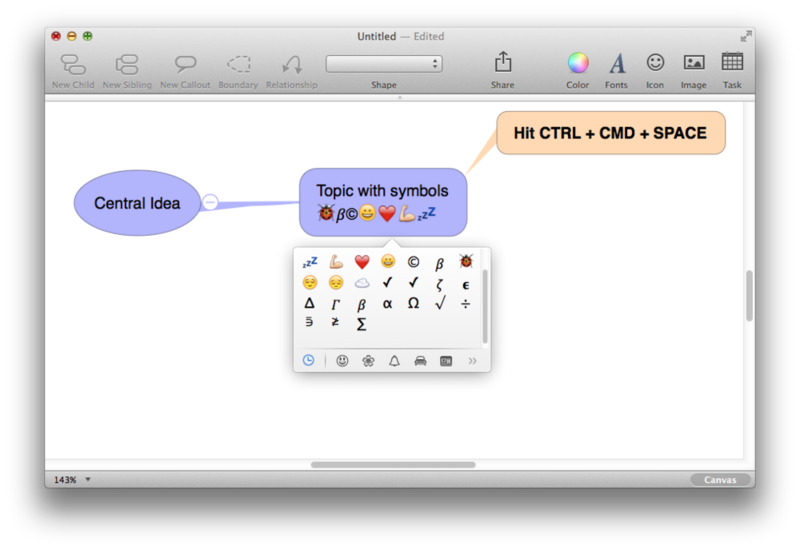 Emoji are symbols and small pictures (smileys etc) which can be used anywhere you can insert 'normal' textual characters. iThoughtsX and iThoughts(iOS) both support this. 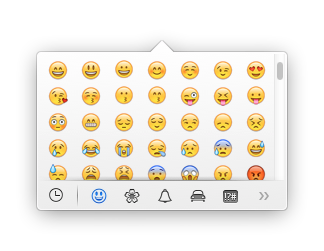 The Unofficial Apple Weblog published a great tip, describing how you can quickly popup the Emoji/Symbol picker window whilst editing text (on Mavericks.) See below for a screen shot and some examples of the symbols which you can use. 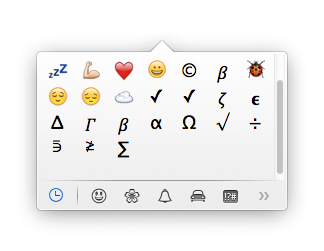 NB: In addition to the smileys, there are also all the major mathematical symbols.